Posted on July 24, 2012 by Michele D.
A few weeks ago, I was craving some cooked greens like my Mother used to make when I was a little girl. I’ve never actually made greens myself but I purchased a bunch at Wholefoods Market and headed home to find a recipe. I remember my mom’s greens being delicious and when I started looking at recipes, I realized why. 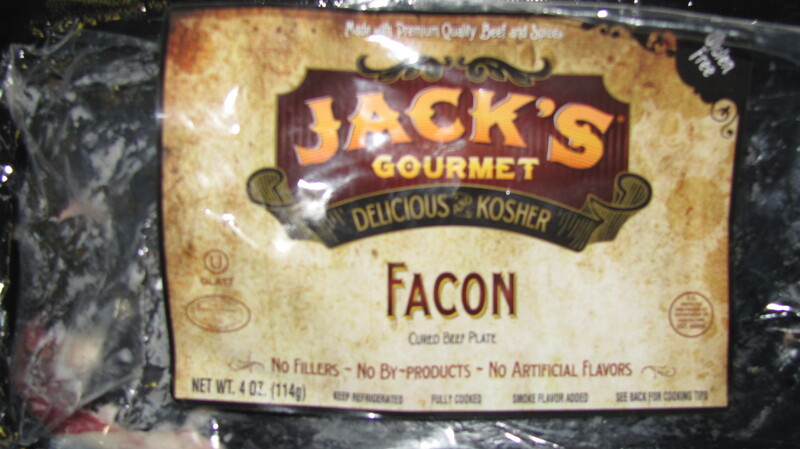 Most of the greens recipes included the secret and non-Kosher ingredient – Bacon. Ugh. 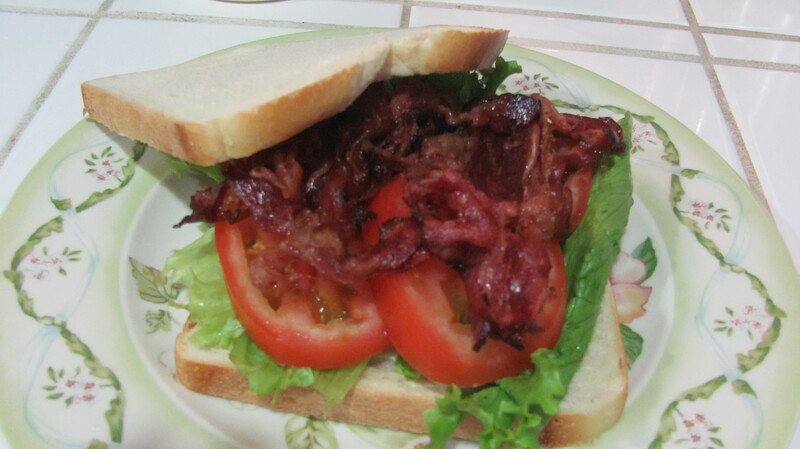 When I narrowed my search by looking for vegetarian greens recipes, I found a wonderful trick for turning a veggie into a yummy substitue for bacon. FitSugar features a Smokey Collard Greens with Shiitake Bacon recipe that includes a way to bake Shitake mushrooms until they are slightly crisp and very bacon-like. I called my hubbie and asked him to stop at the store on his way home to pickup some Shitake mushrooms. The slight problem we discovered is that these mushrooms are expensive, around $14 a pound at Wholefoods, but he found a small package of them for $4.99 so we figured it was worth a try. 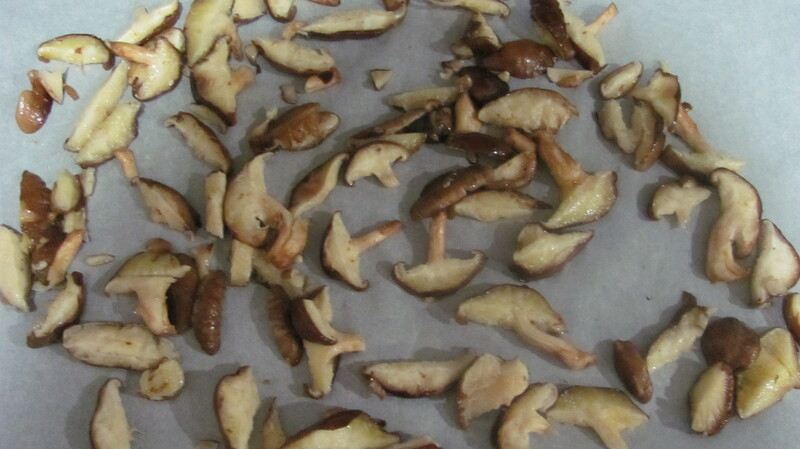 Pour olive oil and salt over mushrooms and stir to incorporate. Spread in single layer on a baking sheet lined with parchment paper. Bake 25-30 minutes until dehydrated, but still pliable. Last night, I made a creamy, cheesy mashed potato soup from the April 2012 issue of All You magazine, which called for 4 slices of bacon. Instead of the real bacon, I made the Shitake Bacon recipe above using a 4 oz package of mushrooms. 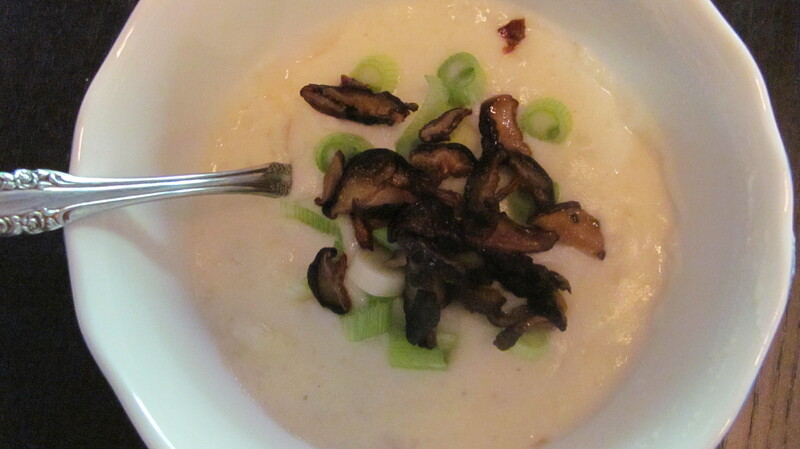 Once the soup was ready, I sprinkled the mushrooms and chives on top of the soup for a filling, kosher meal … probably better in winter than during a hot, Texas summer but hey, what can I say, I was having a rough day and needed some good, old fashioned comfort food even if it was the same temperature as outside. This soup and “bacon” did the trick. 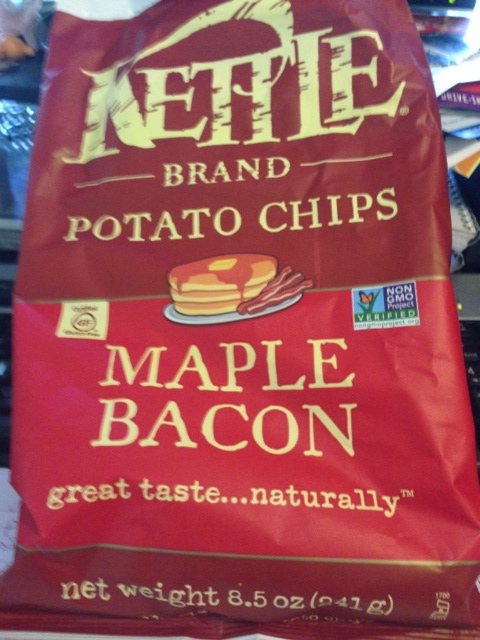 Have you found any other good bacon substitues you’d like to share? So far, the Shitake mushrooms are my favorite but I’m open to new suggestions. I’d love to hear from you.